Mirecourt, France is famous for two things: Violin and stringed instrument bow making, and the making of fine lace. That fact is as true today as it was in the 16thcentury. But while Mirecourt’s history and the pedigree of its violin bows speak of refinement in the royal courts of European royalty and the aristocracy, it’s not without a little cross-Atlantic controversy. This is due to the source of the most prized basic material used in making the finest bows by the greatest Mirecourt bowmakers (“archetiers” as they are called). That material is Pernambuco wood. When Portuguese explorers “discovered” Brazil in 1500, they immediately recognized the value of the land’s uniquely beautiful trees, particularly along its coasts. A rich degree of commerce developed, felling the various Brazilwoods and shipping them to the Old World. By 1555 the French admiral Nicolas Durand de Villegaignon sought to establish a colony there in part to harvest and import the wood. That was unsuccessful, but trade between Brazil and Europe in these woods thrived. This time period coincides with the rise of skilled and renowned archetiers and luthiers (violin makers) in Mirecourt. The city was a mercantilist center, connected to the rapidly expanding world, trading in products, ideas and culture. Musical instrument craftsmanship began to diversify with increasing wealth, such that by the 18thcentury bow makers began to hone their craft of producing fine violin bows. Mirecourt’s history includes famous architiers of the era: Dominique Peccatte, Emile Francois Ouchard, Eugene Sartory and Victor Fétique. 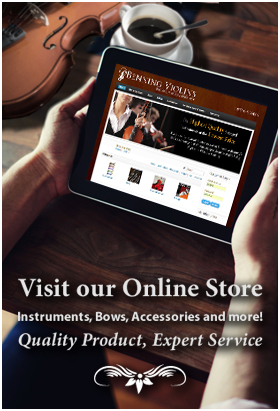 Jean Baptiste Vuillaume, was one of Miracourt’s most renowned violin makers. 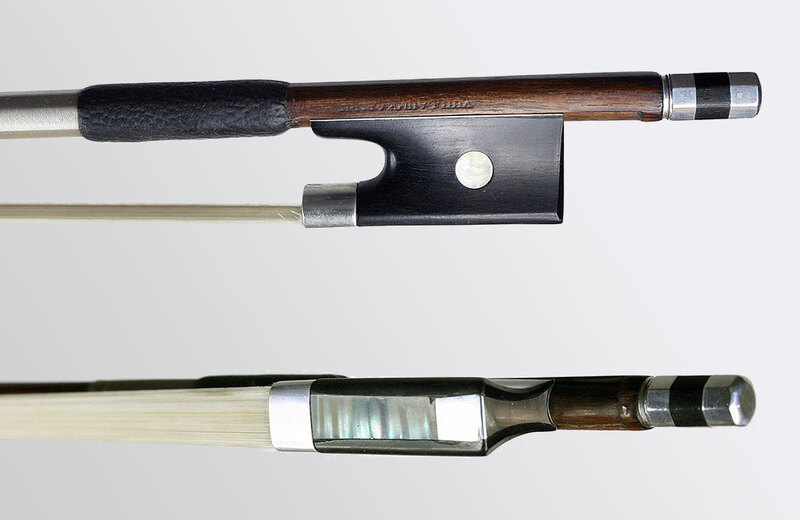 The bows from some of these archetiers remain in use today, some fetching prices as high as $45,000 at auction and are often offered for sale at high-end violin shops. The Pernambuco supply is greatly restricted today due to overharvesting, so other woods are now used – making the old masters’ bows even greater in value. Today, almost 500 years later, Mirecourt remains the bowmaking capital of the world. While World Wars One and Two created great hardships – 18 workshops employing almost 700 people in 1925 had disappeared by 1945 – the creation of the National School of Lutherie in the 1970s in Mirecourt revived the professions of bowmakers, violinmakers, and even guitar and mandolin makers. The city today has a museum dedicated to the history of violin making (Musée de la lutherie et de l'archèterie française), and what’s known as the national violin making high school named for Jean-Baptiste Vuillaume (Ecole Nationale de Lutherie Lycee Jean-Baptiste Vuillaume). Students at the school spend five years earning violin making technical diplomas, art trade degrees, and professional aptitude degrees. At least 24 hours per week are spent on benches making instruments and bows; the school focus is on violins, violas, cellos, double bass and viols. Just as Mirecourt’s fine French lace will always be appreciated – and worn by many more than the aristocracy – so too are the bows and stringed instruments made today in this lovely French city.